Here is an important update for the candidates who wish to participate in the online counseling for Super Specialty (DM/ M.Ch) seats 2018. The schedule for online counseling has been released. 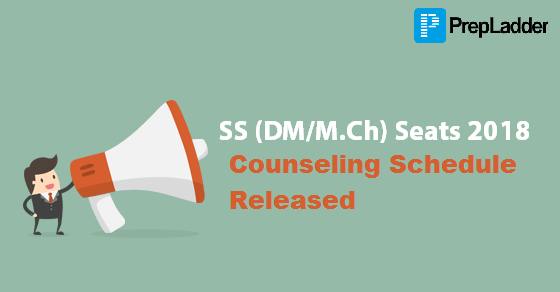 We are here to keep you updated with the important dates & timings related to SS counseling. Stray round vacancy is to be conducted by respective colleges/ institutes/ universities from 27th August 2018 to 31st August 2018. Note: The last date upto which the students can be admitted/ joined against vacancies arising due to any reason is 31 Aug 2018. You can also go through the official notification on the official website.